Dutch: het uitgebreide verhaal in het Nederlands (maar kijk hier voor de plaatjes!). 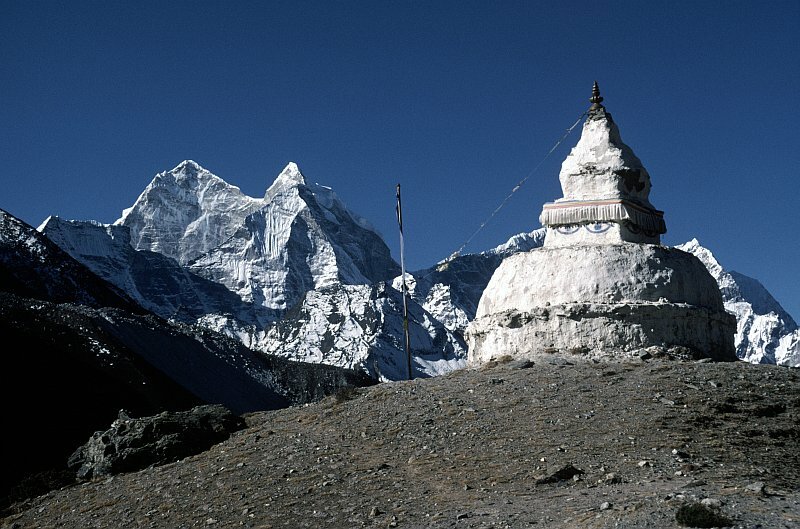 Update May 2005: new scans from the slides can be found here. 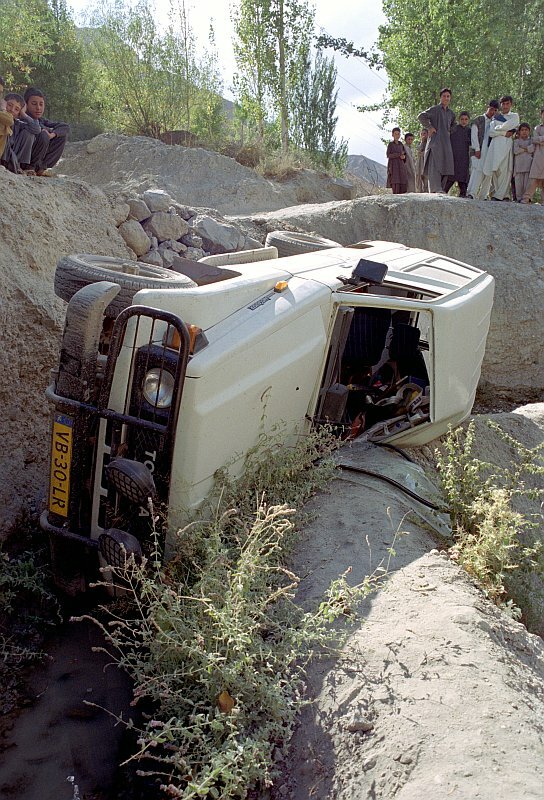 On Tuesday 24 September 2002, 14:30, our car slipped of the road near Awi, a small village near Booni, another small village. We were heading for Gilgit from Chitral, but we had taken the trail at the wrong side of the river. At a sharp turn the rear wheel slipped of the dirtroad due to some stones. The other wheels could not hold grip on the loose sand and so the whole car slided sideways of the road. Wednesday 25 September 2002. 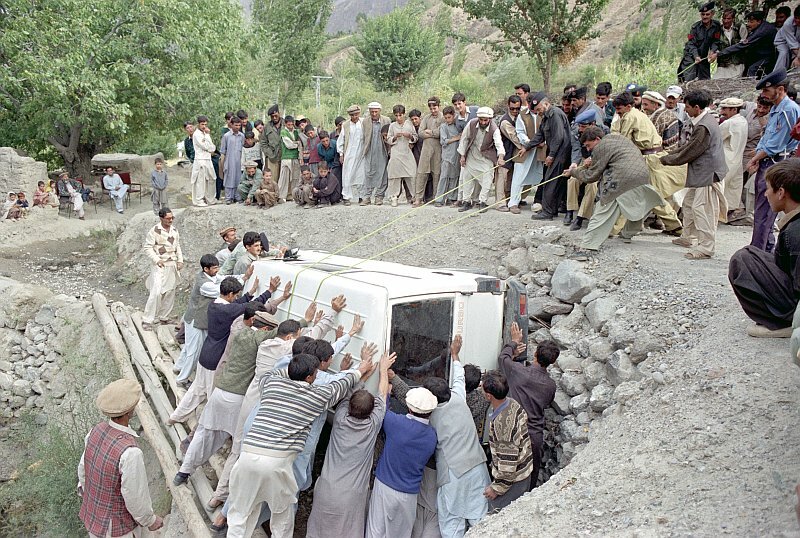 A truck from Chitral with a crane was not able to come close enough to the ditch because of the narrow path. 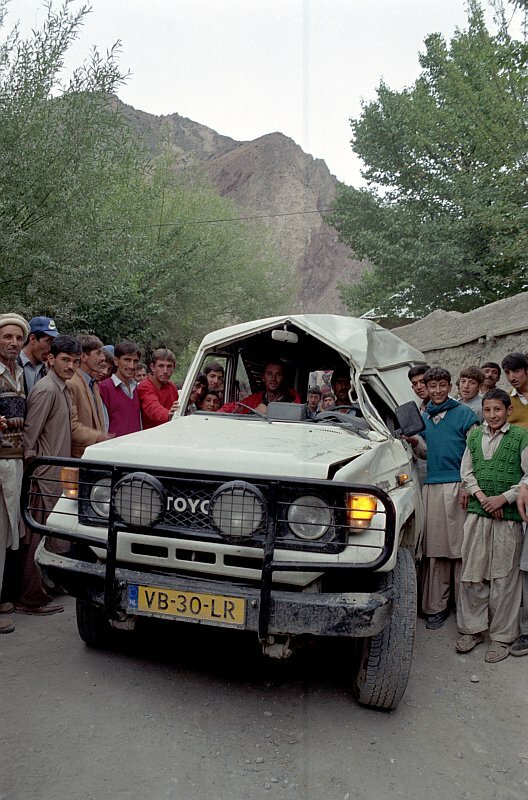 Therefore, the heavy LandCruiser had to be put on its wheels by muscle power. The whole village of Awi helped to put the car upright! 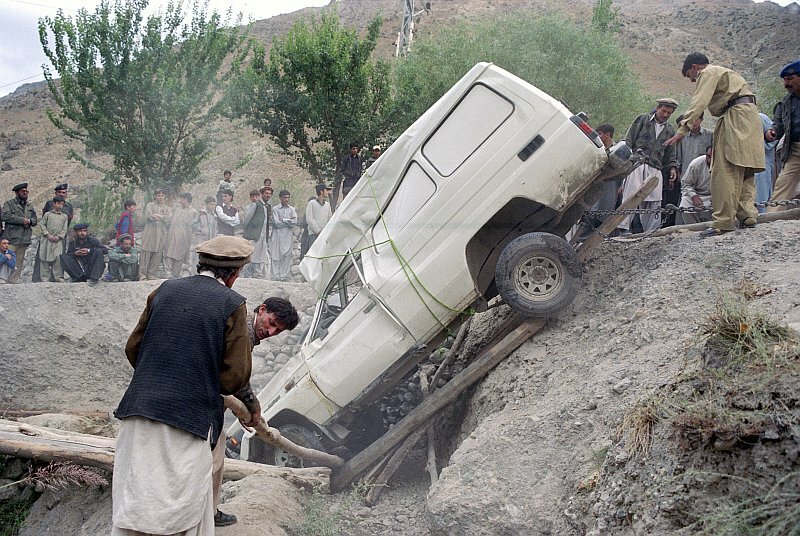 The winch of the crane was used to pull the LandCruiser back on the road. After checking all the engine fluids, the engine was started. The diesel engine was running smooth as ever! Overland by car, carnet de passages, insurance, etc.